You should know this man! Did you know that Crest Toothpaste, Folgers Coffee, Bounce Fabric Softener and Safeguard Soap were all created by an African-American Man? When knowledgable people speak about him most of the audiences have never heard of him and were amazed by his story. Via Science Affected so many lives. 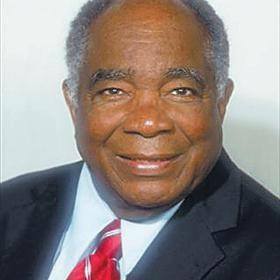 Dr. Herbert Smitherman was a pioneering executive and professional chemist at Proctor & Gamble who led the way for other African-Americans at the prestigious company in the 1960s. He was the first black person with a doctorate hired at Proctor & Gamble. Nicknamed the “Jackie Robinson of Proctor & Gamble,” Dr. Smitherman spent 29 years there before turning in his lab coat to work as a professor at Wilberforce University. But after serving at the historically black college, Smitherman turned his attention to starting a high school called the Western Hills Design Technology School to help black students perform better in math and science. A child of the south, Dr. Smitherman’s family lived in Birmingham, Alabama, where his father served as a reverend. A young Smitherman would see his father’s church burn down twice during their push for voting registration and voting rights. He died on Oct. 9, 2010.